kuznianaklejek.pl > Fototapety>Kolekcje>POPART>Comic retro font set. Alphabet letters & number in style of comics, pop art for title, headline, poster, comics, or banner design. Cartoon typography collection. 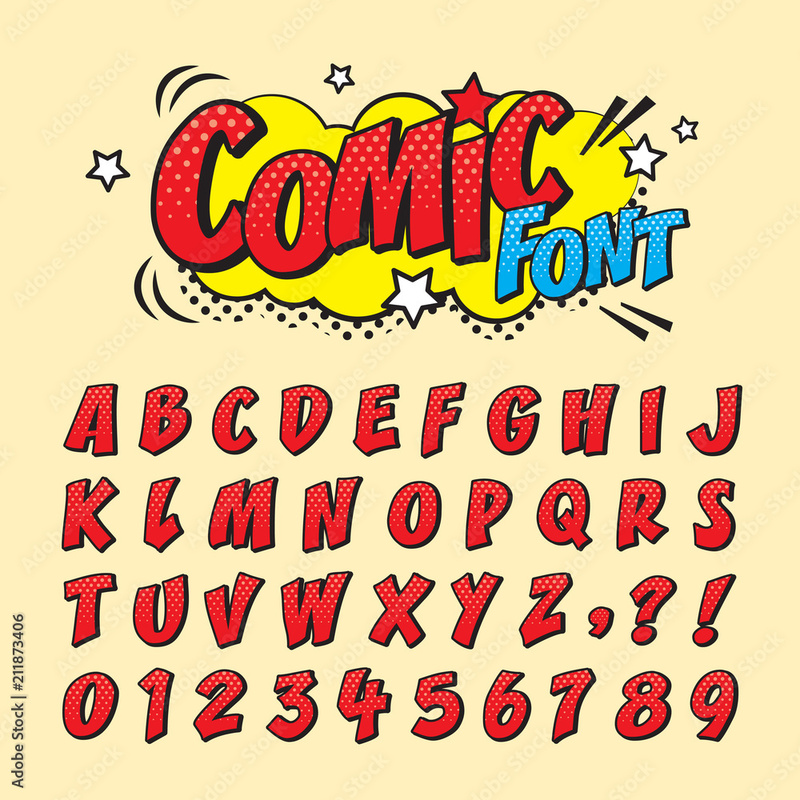 Comic retro font set. Alphabet letters & number in style of comics, pop art for title, headline, poster, comics, or banner design. Cartoon typography collection.